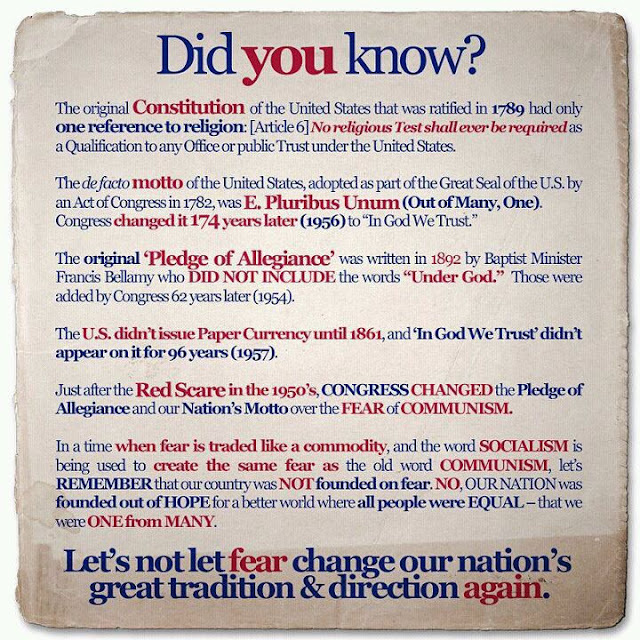 God Politics: "Out of Many, One"
Do you agree with the assertion that "In God We Trust" both on our currency and as the de facto U.S. motto and that "Under God" in the Pledge of Allegiance was a 1950s fear response to communism? Was it an attempt at solidarity that happened to use federally sanctioned religious language? Or was it something else? Thoughts? Nonetheless, it's a civic history lesson. Most people do not know that this religious language was not around until the 1950s. Using them as some sort of tangible example of our Christian or Deist religious heritage is completely unfounded. I personally like "Out of Many, One." This speaks more to the inherent pluralistic intent and reality of this country and of the world. 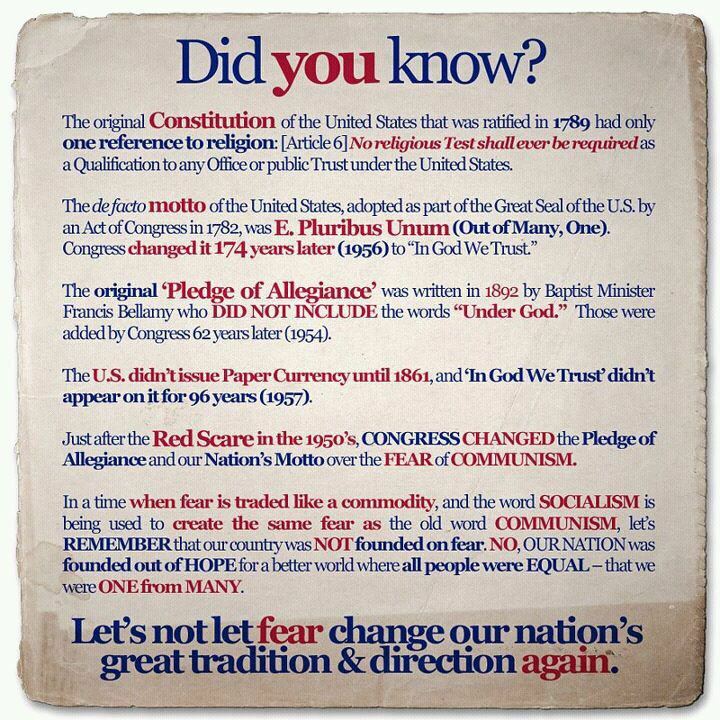 And unlike "In God we Trust", or "Under God", it does not discriminate against nonbelievers, secularists, atheists, nontheists and the like.